A custom garage storage system designed with a work bench. 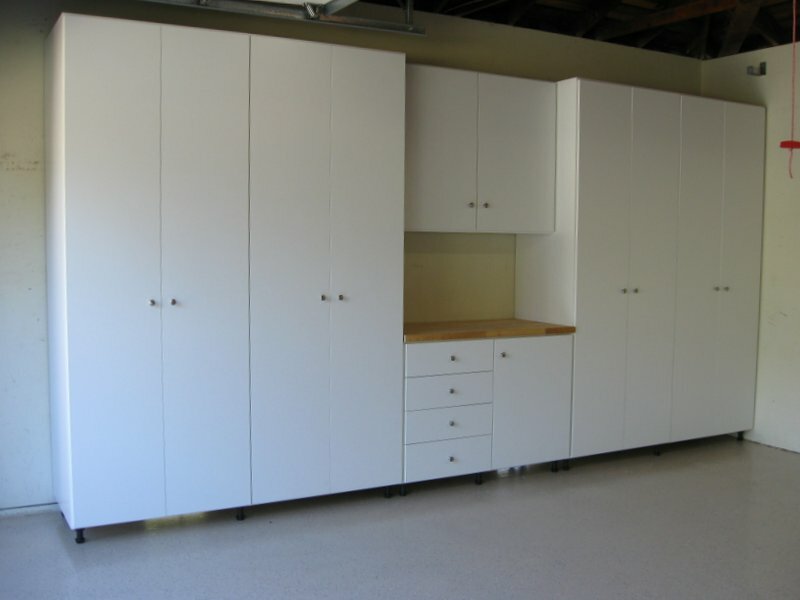 3/4″ white melamine construction interior and exterior. 1/4″ melamine backing always. Our systems are floor base for more weight capacity. The systems sit on adjustable nylon feet not steel, so they do not rust. Always anchored to the wall for earthquake safety. This design features a solid wood work surface. Drawers are always built from 1/2″ melamine and feature rabbited bottoms and 100lb full extension drawer slides.